It’s always fun to inspect Marty Stuart’s Mandolin when it comes to Master Luthier Marty Lanham at Nashville Guitar Company for upkeep. There’s more than a few recognizable names. 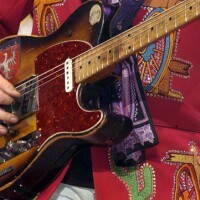 This instrument was modified by the great Clarence White, who installed the first “B String Bender”. 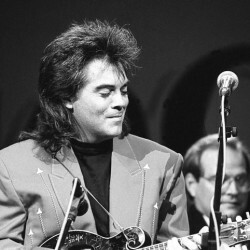 Marty Stuart is following the fretboard wear-pattern made by Clarence. That is History. Copyright Charmaine Lanham © 2013. All Rights Reserved.